One and done, or more to come? Fresh off a decision by Royal Dutch Shell and its partners to construct the country’s first liquefied natural gas development, the energy industry is growing confident it will propel other Canadian LNG proposals to move ahead. The chief executive of LNG Canada believes the positive final investment decision has given “a degree of comfort and encouragement” to similar proposals trying to make it across the finish line. “There are a number of other projects in (the) advanced development stage and they will feel emboldened by what we have done,” Andy Calitz said Wednesday before speaking at the Energy Roundtable conference in Calgary. 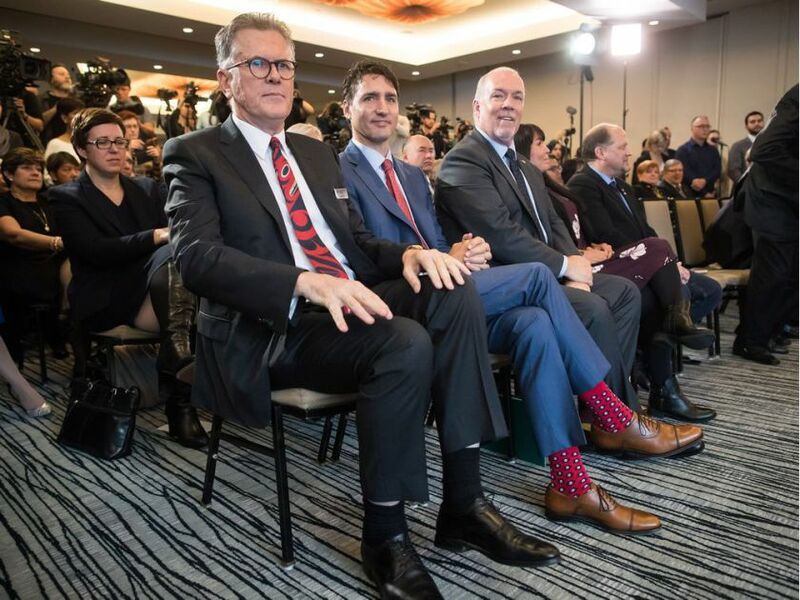 Last week’s announcement that Shell, Petronas, PetroChina, Mitsubishi Corp. and Korea Gas Corp. will build the project at Kitimat, B.C., was a game-changing moment for the country’s energy industry. The $40-billion project is not only the largest private-sector investment in the country’s history, it represents something else for the oilpatch: confidence. After seeing big-ticket projects like Northern Gateway, Energy East, the Pacific NorthWest LNG and Aurora LNG projects flail and finally fail, five international companies have committed to investing billions of dollars in this country. “It’s brought real credibility back into the Canadian energy sector,” said Pieridae Energy CEO Alfred Sorensen, who is working on the $10-billion Goldboro LNG project in Nova Scotia. “It’s almost like … internationally, people have said, ‘OK, it looks like LNG from Canada is do-able, if it’s done the right way,’” added Victor Ojeda, president of Steelhead LNG, which wants to build a facility on the west coast of Vancouver Island. For those who want to see the country export its energy resources beyond the United States, the LNG Canada decision is a seminal moment. By the middle of next decade, supercooled natural gas from Western Canada will be shipped into thirsty Asian markets, including China, Korea and Japan. According to a National Energy Board report, the regulator has received 43 LNG export licence applications since 2010, representing 24 projects — including 18 on the Pacific coast. Most proposals stalled out after global LNG prices fell several years ago. With demand for natural gas growing to replace coal, a new wave of projects is expected to be built by the middle of the next decade. A report by energy consultancy IHS Markit said the decision by Shell and its partners to build could act “as a starting gun” for other LNG projects to proceed. “We will see a renewal in liquefaction projects being approved globally. Whether or not Canada gets those projects is still a bit of an open question,” said Ian Archer, associate director of North American natural gas for IHS. Each proposal on the drawing board will face its own set of challenges. At the energy conference, Calitz spoke about the “long and winding road” it took to attain approval for the megaproject, including a two-year delay that allowed the proponents to whittle down costs. Unlike other developments, he noted LNG Canada is located exclusively within British Columbia, the proponents have a good long-term relationship with affected First Nations and local communities, the project is cost-competitive and it will use hydro electricity to lower its greenhouse gas emissions. Energy producers and other LNG proponents are hoping the decision will put wind in their sails. “It’s good for Canada, good for investor confidence. It resonates very strongly across the corporation,” said Frank Cassulo, president of Chevron Canada, which has its own Kitimat LNG Project, a joint venture with Australia’s Woodside Petroleum. While there are 18 proposed LNG projects on the books for the west coast, only three are “going concerns” — Steelhead LNG, Woodfibre LNG and Chevron’s Kitimat project — according to a B.C. government official. Archer believes the Woodfibre LNG project is the most advanced and likely to proceed, with its plans to construct a smaller processing and export facility southwest of Squamish, B.C. Woodfibre officials are working on an engineering, procurement and construction contract with Houston-based KBR Inc., and expect construction to start sometime in 2019. Other proponents hope the LNG Canada project will give the Canadian energy sector some momentum and make believers out of the naysayers. “It takes a long time to get the first project out of the gate in any new jurisdiction,” said Ojeda. On the east coast, Pieridae is moving toward the finish line on giving a green light to the Goldboro project, which would ship natural gas from Alberta to Nova Scotia for eventual export into Europe. The company is waiting for the provincial government to issue construction permits within the next two weeks. A final investment decision is expected to take place in late November. While the court decision that quashed the federal approval of the Trans Mountain oil pipeline expansion in August sent out a negative signal about building energy projects in the country, the new LNG decision “was the exact opposite,” Sorensen said. “It really brings confidence back to investors,” he told reporters after the conference.